Generously infused with 99.99% Hemp Isolate Powder, these vibrant rainbow gummies can help you experience the soothing effects of hemp extract while indulging in fun, delicious flavors. 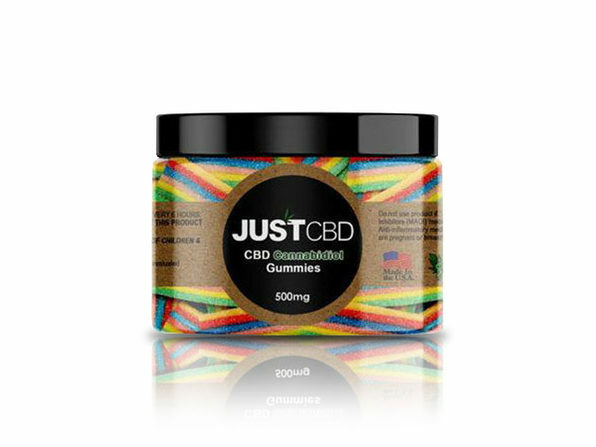 This 500mg jar is perfect for those new to CBD, containing colorful rainbow belts that bring together sour strawberry, sour apple, sour tutti-frutti, and sour blue raspberry flavors in every sugar-dusted piece. Belt dimensions: 1" x 3/4"